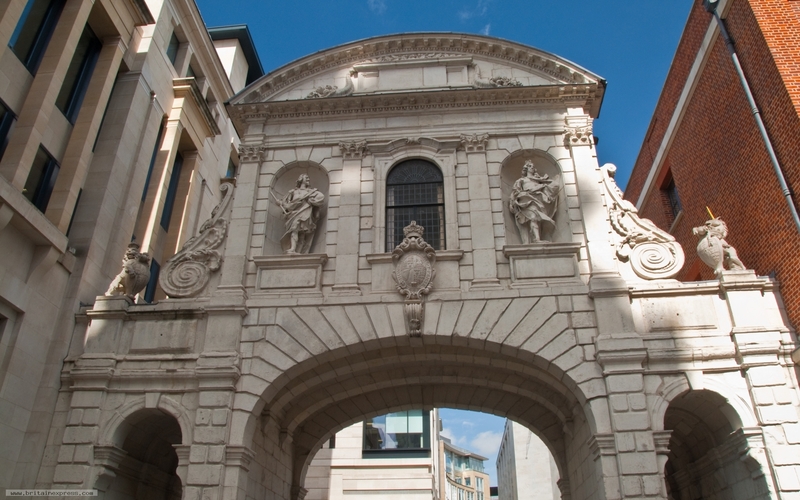 Temple Bar is the last surviving gateway to the City of London. It originally stood across Fleet Street, but is now between Paternoster Square and St Paul's Cathedral. The Bar was built around 1293 to give access to the 'Temple', the home of legal London. The current Bar was built after the Great Fire of London badly damaged the medieval version. It was removed in 1878 to allow better traffic flow, and for many years stood at Theobalds Park in Hertfordshire, before it was eventually re-erected in its current position behind St Paul's.